Hello there my fellow FPS fanatics! Today I will be talking about one of the first person shooter games that is climbing up on the eSports scene on the FPS category! This game has been a long-standing class A title over the years, both on console and PC. It also has one of the best storylines out there out of the FPS series. Aside from that, this game also boasts one of the most dynamic battle mechanics and graphics out there. 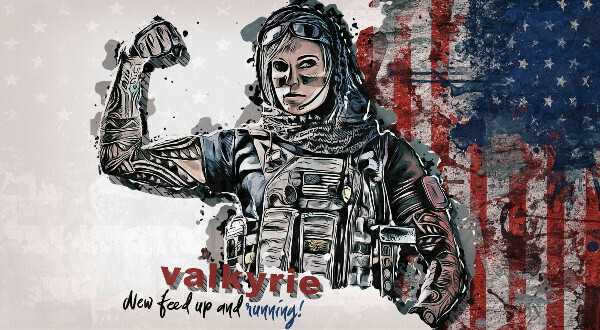 If you are thinking about Rainbow Six, then you guessed it right! Rainbow Six has been slowly creeping up on the eSports scene lately with its latest edition, Rainbow Six Siege. Today, I will be talking about R6, its future in the eSports scene and the best part of all, how we can root for our teams and bet to make us some money. So grab yourself a cold drink and explore Rainbow Six scene and betting with me. Rainbow Six has been a staple first-person shooter game way back in the first Playstation console. I remembered the glory days of it playing with my brother on split screen way back in 1999. This title has followed closely on what Tom Clancy, the original writer of the novel wrote, down to the names of the characters on the first edition when you play story mode. In Rainbow Six, you play as an operator from one of the famous Counter Terrorist and Spec Ops units that can be found worldwide. In the story mode, you get to respond to scenarios where the expertise of these operatives. These operatives have variations in their skill sets and a team crafted of operatives with very good skill sets are critical for the mission success. You get to learn all of them while playing story mode. However, the real fun starts after you have finished the story mode and go to the Covert Ops. This is where you can play multiplayer battles with your friends on either the same console or through LAN connectivity of different consoles. The original R6 game does not have a very good multiplayer interface for the consoles and the gameplay was a little bit sluggish. Then came Rogue Spear, the second expansion of the R6 series. This had one of the best multiplayer clients loaded on the PC game. I have spent countless hours with my friends playing not the story mode of this game, but the vast multiplayer it has to offer. With the close to realistic mechanics that it was offering at that time, it offered a very tactical sense of gameplay that cannot be found on the Counter Strike series or the Call of Duty series back then. It was not until 2007 that the real competitive side of R6 was seen. From Rogue Spear all the way to Lockdown, most of the play was restricted to LAN parties and inter-console connectivity. 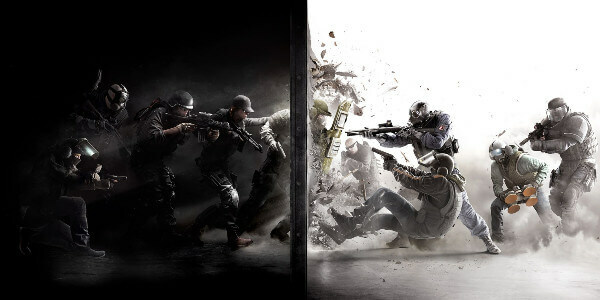 Even though most of these were played on a next-gen console with internet connectivity, it was not until Rainbow 6 Vegas where they truly explored and added support for Xbox Live and the PSN Network. It was on the Vegas 2 expansion that the eSports scene for R6 was really accepted by the public. It had a very good gameplay and it was very competitive too. 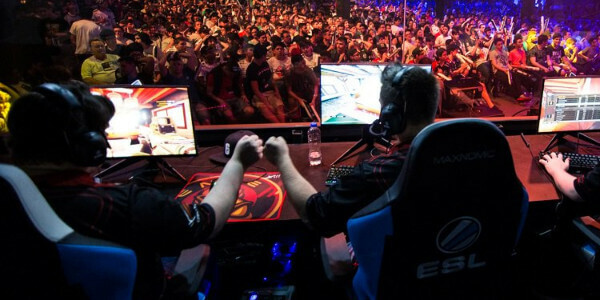 However, it was overshadowed by the more popular Call of Duty tournaments and also the CS:GO tournaments due to the prize pools being offered in these tournaments. The more established eSports organizations and teams flocked on the latter FPS titles because of the lucrative prizes that can be won. However, Vegas 2 is not a dead game. It still had a cult following, albeit a little bit underground. It was still being faithfully hosted by Major League Gaming as a counterpart for CoD on the console platform, but on the PC end, it was completely buried by CS 1.6 then later CS:GO. The R6 scene became stagnated and was shunned by a lot of people when the Patriots expansion was canceled by Ubisoft. This would severely impact the eSports scene at that point. Fast forward to 2015. The release of Siege on the latest generation consoles and also in Steam gave it a breath of fresh air on the obscured title. 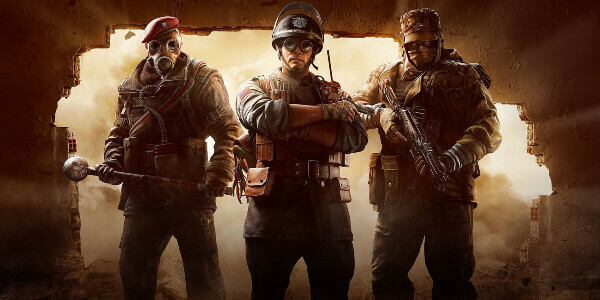 Since the major flop that was Patriots, the release of Siege breathed new life into the series. Also, it offered new operatives. Thus expanding the gameplay and the tactics that spawned from it. They also brought back the Tactical Realism mode that was the main selling point of the original R6 game. With these additions, they also revamped the Ranked mode that was being used. They threw away the system that was similar to Prestige Mode in Call of Duty that was mainly used in Vegas 2 and opted to a systematic ranking system that is similar to League of Legends albeit a few minor name changes. This resulted in a much more competitive scenario on the Ranked Mode which saw the birth of a lot of pubstars. This resulted in a lot of some minor tournaments and it was continuously featured in MLG and also Dreamhack. 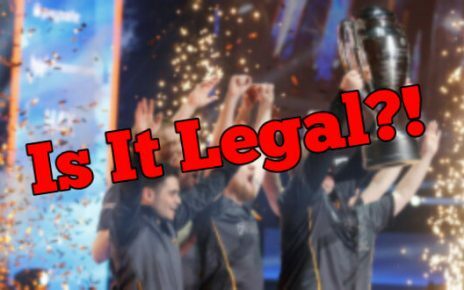 Seeing the success of the latest expansion, major eSports organizations saw these changes and started to form competitive teams to play in these tournaments. Ubisoft also bumped up the prize pools of these tournaments thus offering a very lucrative spot for teams to add rosters for this game. Nowadays, the Majors for Siege has been dominated by big-name teams like FaZe, G2, Liquid and Cloud 9. As with any other triple A FPS titles, there is a thriving betting and gambling scene for Siege. This was lacking on the older titles before, but when Steam picked the game up and when it was also ported on the latest generation consoles, the support for the eSports tournaments has been massive. With major organizations competing, the gambling and betting is sure to follow. Like any other FPS title, the options for Rainbow Six betting are similar as well. However, they have some unique bets being offered on this. Since the game has a lot of operatives with different skill sets, the bookies offer bets that are based on the skill sets of these operatives and also offer bets on the amount of time that a specific operative gets banned in a tournament. This is just one of the few unique bets that can be made when you follow R6 Siege. For the uninitiated, it is very hard to discern which bet to place apart from the wins and losses. But as soon as you follow the scene, you get enamored with the gameplay that is shown by these squads and you also get to learn how the system works. My best tip to give out is, follow the scene closely for at least one tournament before placing heavy bets on other variables. 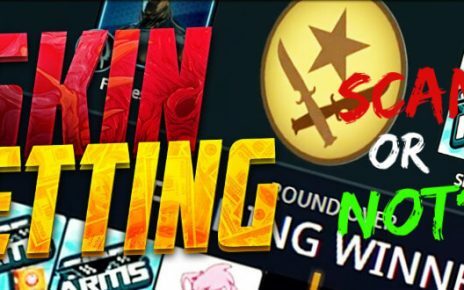 Once you get to know how stuff in Siege works, then variable betting should be second nature for you and you would be able to pick out the winners. I am happy to say that the competitive and esports scene for Siege is here to stay. Ubisoft has put a lot of support in the current expansion and they have been releasing updates and fixes if ever there is a bug found. Aside from that, with the multiple platforms that it is currently offered on, there are a lot of chances for someone who wants to enter the competitive part. 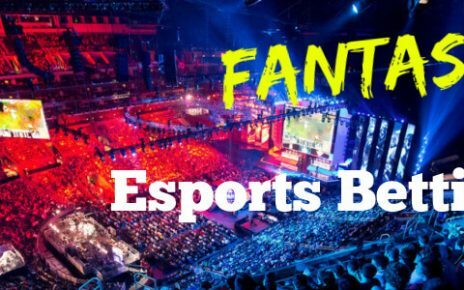 There are a lot of smaller teams that make the cut on the consoles mostly, and these players make their dreams come true by being drafted into bigger eSports organizations. Same way as how pub stars are born, there is an equal opportunity for every player to shine by playing well on the Ranked mode and rising to the top of the leaderboards. 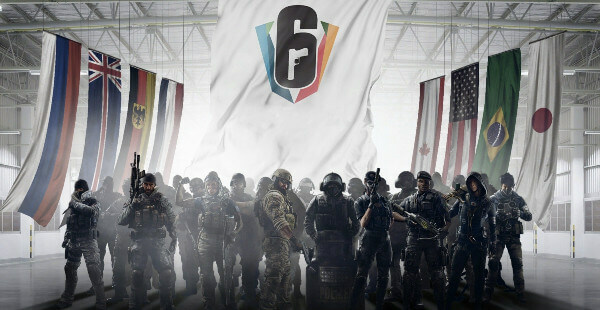 With more organizations setting up their own squads to compete on these tournaments, the bigger the prize pool gets and the more support Ubisoft gives on Siege. Sooner or later, it will become one of the major titles in the future of FPS shooters that will be compared to CS:GO or Call of Duty because of the unique tactical feel and realism it gives on its battle mechanics. Be on the lookout for future articles, see you next time! Good luck!